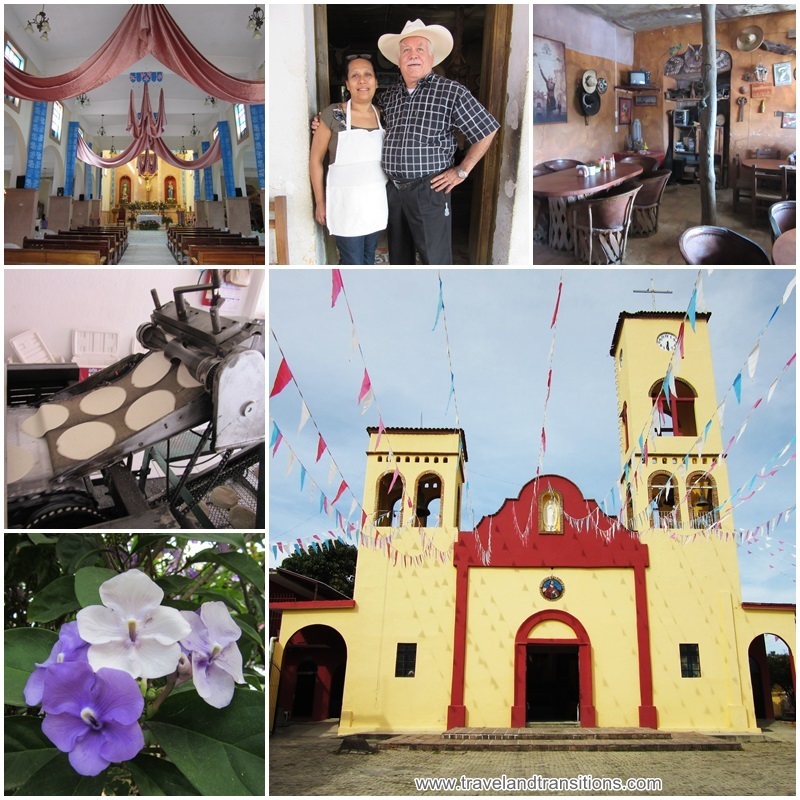 On my second day in Puerto Vallarta I had a full day planned – an excursion into the countryside south of the city. 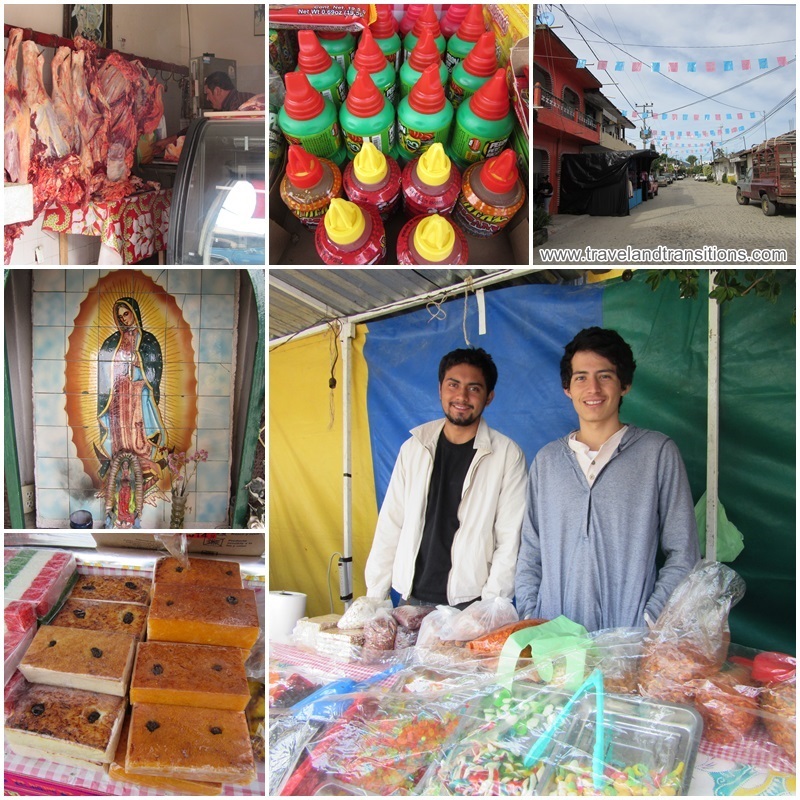 In the morning I went downtown and took a taxi to the Conchas Chinas area where I met up with Jesse Morales, an expert local guide with extensive knowledge of history, nature, local traditions and everything else related to Mexico and Puerto Vallarta. In his comfortable Honda CRV we started to ride southwards along the coastal highway that snakes its way scenically towards the southern end of the Bay of Banderas. We made a quick stop at Encore Bungee, a place where you can get your adrenaline going by bungee jumping towards the turquoise waters of the Pacific. Minutes south we stopped again and had a look at Los Arcos, the famous rock formation and marine park that lies just off the picturesque village of Mismaloya. Jesse told me how Puerto Vallarta became such a famous tourist destination: in 1963 Richard Burton filmed the movie “The Night of the Iguana” here and Elizabeth Taylor flew in to visit him. This was huge news because both of them were married to other people at the time and the press was all over this outrageous scandal. This affair and the movie also started global interest in this region as a tourist destination. Just a bit south of Mismaloya we stopped again to look at the run-down sign of the former restaurant “The Night of the Iguana” which has been closed for a number of years now due to a property dispute. The property is fenced off with warning signs of guard dogs and the restaurant sign is properly dilapidated. How ironic it was that the place that put Puerto Vallarta on the tourist map today is closed down and merely a shadow of its former self. Among the highlights of the drive south of Puerto Vallarta are Los Arcos and Mismaloya. After another scenic village, Boca de Tomatlán, the road curved inward and we started to drive into the coastal mountains of the Sierra Madre where we saw several beautiful waterfalls. 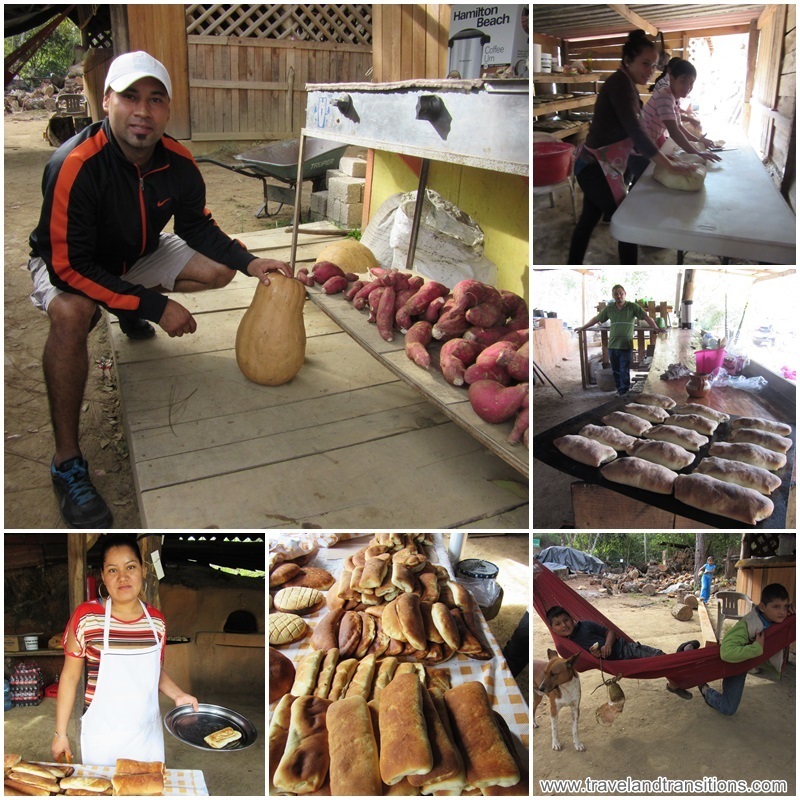 Our next stop was at a roadside bakery, the “Panaderia Los Pinitos”, that was selling “pan”, Mexican bread with a variety of fillings such as cajeta (caramelized milk), Philadelphia cream cheese, coconut, chocolate, sweet potato, squash, vanilla, blackberry and pineapple. Three young ladies and a young man were kneading bread dough by hand in a back room. The bread, cookies and other delicacies were being baked in a brick oven that is heated with wood which gives the baked goods a bit of a smoky flavour. I bought a few pieces of this bread and it was absolutely delicious. 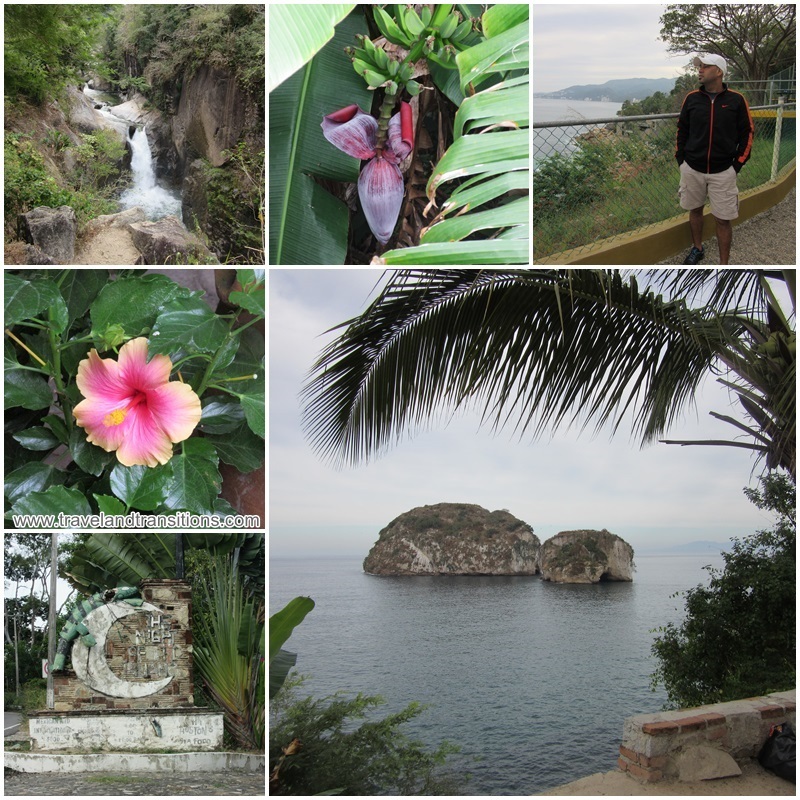 On we went, past the Botanical Gardens of Puerto Vallarta, and deeper into the countryside to El Tuito. This town is one of the oldest in the area and was founded in the 16th century. Unlike many other older country towns, El Tuito was not founded because of mining but because it had water, good land for grazing cattle and was on a major road. We walked down the cobble-stoned main street and admired the market stands that sold everything from fruits and vegetables to authentic hand-made Mexican candy. In a butcher shop, entire sides of beef were hanging in the open air. Slaughtered just hours earlier, these large chunks of meat were probably going to be sold in a few hours (or at least put in a freezer, I hope). Then we reached the zocalo, the main square of El Tuito which features the typical Mexican bandstand and some benches for people to sit. An itinerant amusement park was just in town as well. We strolled over to the town hall outside of which a group of four soldiers were sitting. Jesse explained that they were here to recruit new soldiers into the Mexican Army. They told me I wasn’t allowed to take any pictures of them but I could take a picture of their Hummer. 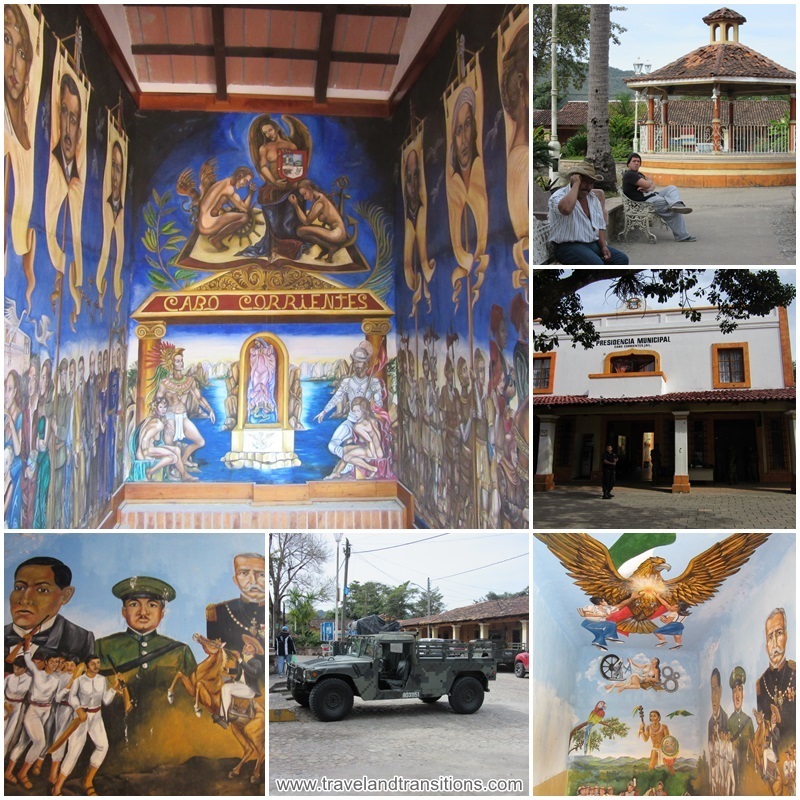 We walked inside the town hall which has an open patio inside and in the staircase were some amazing murals, featuring Mexican leaders and politicians. The Cultural Centre next door also features some outstanding wall paintings that are entitled “The Universal Revolution” which pay homage to Mexico’s past, present and future. We walked around the block and into the Parish of San Pedro Apostol, a church with a rather plain façade but a charming interior. A few steps away Jesse took me to a “tortilla factory”, which was really more the size of a large garage, and showed me how this Mexican staple is made. Tortilla can be made from corn flour or finely ground wheat flour and Mexican cuisine depends on these round soft flatbreads. Burritos, chilaquiles, enchiladas, gorditas, quesadillas, tacos, tortilla soup, tostadas and many more dishes absolutely require them. The grains are ground, fermented in water and kneaded into a flexible mass; dough balls are then pressed flat and baked on a conveyor belt in small oven. That sure beats the time-consuming method of making tortillas by hand! Around the corner, back on the main square, we stopped in at an old restaurant, called “El Mariachi” that had a very traditional interior design with round leather chairs and was serving time-honoured regional Mexican dishes. Back into the vehicle it was and it we started to head out of town. Right next to a big pasture where bulls were grazing we stopped at the cemetery of El Tuito. I always love to visit cemeteries because they are just so different in different places around the world. 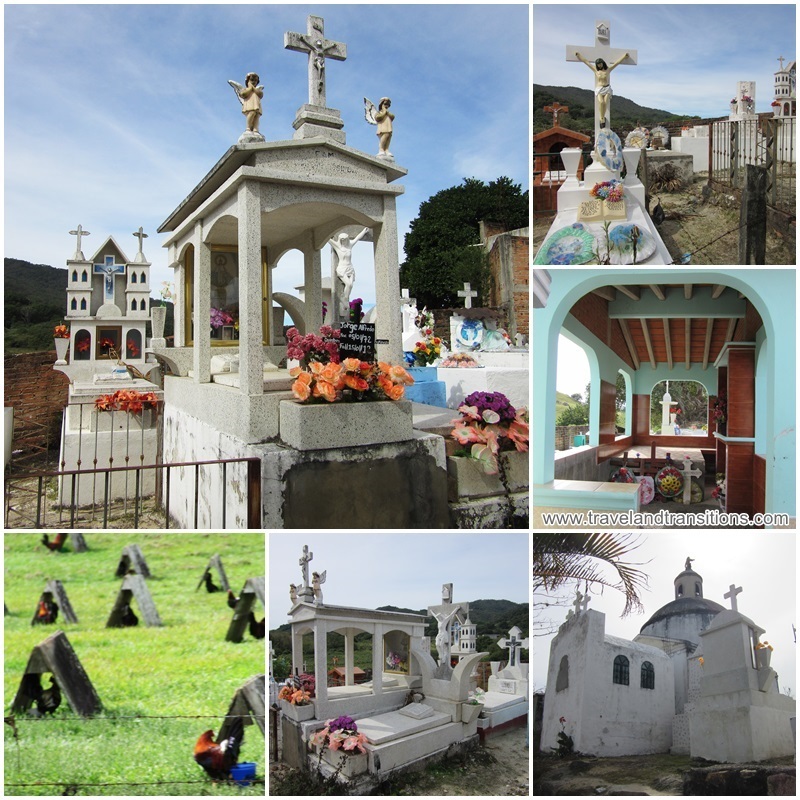 This cemetery had many fanciful large architectural grave constructions, most of them covered in white stucco, some of them painted in orange while others were clad in blue ceramic tiles. The majority of the tombs featured crosses and angels, but some were adorned with stylized church facades. Artificial flowers were decorating many of the graves, adding colour to the mostly white tombs. After our cemetery visit, on the way out of El Tuito, Jesse pointed out another typically Mexican feature: a field full of small A-frame shelters, each of which had a rooster chained to it. The roosters have to be kept apart as they are naturally aggressive against one another. Jesse explained that these roosters are raised like this for the cockfights that are a very popular form of entertainment in Mexico and legal to this day. I had never seen anything like it: an entire field full of roosters, each chained to their own little hut! Our next destination was the Hacienda El Divisadero, a historic country estate with a restaurant, accommodations and a Raicilla (Mexican moonshine) distillery.